This week's round-up is slightly odd because when this is published I will be in a field dancing to loud music wearing festival clothes - loving life at V festival! But as promised I wanted to continue this weekly series so am writing it on Friday morning before V properly starts. 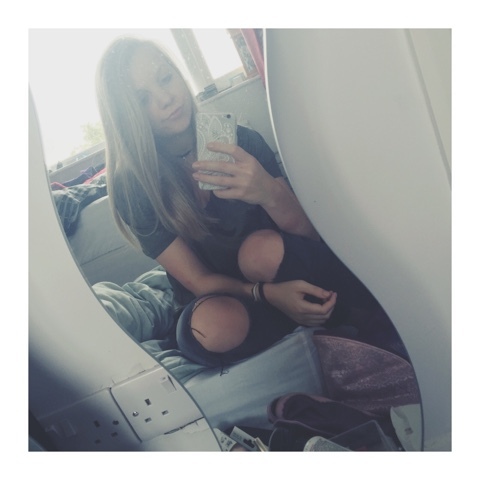 I took this first photo looking sassy in a dirty mirror before I went and saw Paper Towns - as I mentioned how much I loved it in this post, I won't ramble on about it too much! But I loved this outfit, with Uni approaching I've realised that I need to purchase more relaxed clothing for everyday use, and this T-shirt from H&M was the perfect way to start. The Khaki colour is actually making its way into my wardrobe quite a lot for the upcoming Autumn and the slouched V-neck style makes an everyday t-shirt something a bit different. 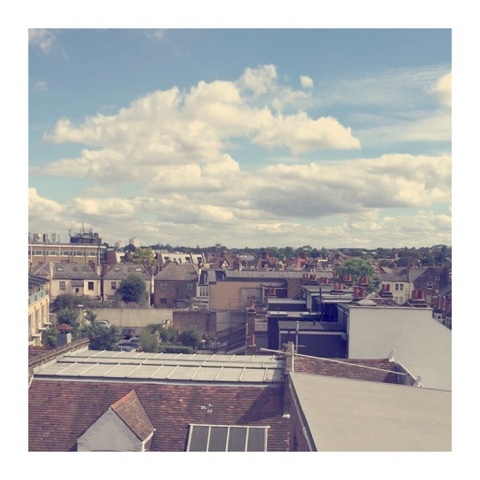 This picture of roof-tops, however much it might remind you of Mary Poppins, is the view from my sisters new flat in London. We moved her in on Wednesday which was very tiring (four flights of stairs was not our friend) but exciting, I'll only be living half an hour or so away from her come September so I could picture myself going to hers on weekends to watch Downton Abbey and Dance Moms! This last picture is the start of my uni purchases. My mum and I went on our first shopping trip yesterday and surprisingly came out with a lot. 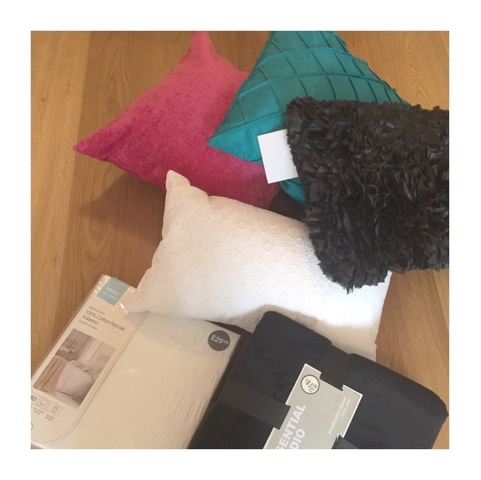 I got some cushions, two duvet covers, a blanket, a towel and flannel and one desk accessory! So it's all very real now, I basically want to move in right away - but then I don't because that means saying goodbye to a lot of people - I'm in two minds about it! Anyways, hope you've all had a good week - make sure you keep an eye on my instagram for daily snaps from V, and add me on snapchat 'Christinastorey' for more updates!